A Community Manager has a number of responsibilities and assist a board of directors with nearly all aspects of managing a community. Managers may have an assistant that performs certain tasks in order to help with the management of the association. First, you can expect any representative, whether it be a manager or assistant to provide superior communication and customer service for you and your community. Without these two things, managing a community would be very difficult and could lead to a number of issues. Financial and common area management are critical for the health of the association. Without strong financial and common area management skills, the association’s stability and property values are likely to decline. You should expect your manager to conduct inspections and review financials on a monthly basis at the very least in order to ensure that the common areas are being properly maintained and insured and the association is financially sound. Reviewing policies, contracts, obtaining insurance policies, preparing requests for proposals, budgets, meeting notices, tax returns and other reports are also an essential duty of your community manager. In addition to these basic functions, Las Vegas community managers are also required to be complaint with state laws. More specifically, Nevada Revised Statute 116 and Nevada Administrative Code 116, which regulate both the community manager and the association as a whole. If you have any questions, please feel free to contact a member of the Shelter Management Group (SMG) team, we would be happy to help! 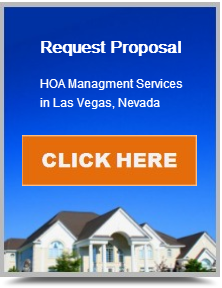 Contact us at 702-818-4780 or info@SMGHOA.com.